» How to be Part of the Exciting Fitness Franchise Industry! Now more than ever, Americans are paying attention to their health. They’re watching what they eat, giving up unhealthy habits, and replacing them with good ones — like exercise! This attention to lifestyle by more people has translated into a fitness industry that’s growing. Last year, gym and fitness clubs generated $33 billion in revenue. What this means is that, if you’re interested in becoming a business owner, a Workout Anytime fitness franchise might be the perfect opportunity to not only work for yourself, but take advantage of a market that shows no signs of slowing down! There are all kinds of franchise opportunities out there, but not all of them are created equal. Workout Anytime is like no other fitness franchise! We’ve been in business for over 20 years, with over 150 franchise locations, and our corporate support team has decades of combined experience in the industry. We know how important it is to make it easy for customers to get fit, and stay that way — which is why we’ve made convenience and affordability the cornerstones of our business philosophy. By offering customers value-priced memberships, at a range of price points, we create the opportunity for more people to access our top-of-the-line workout equipment and numerous amenities like group classes. Our gyms are open 24 hours a day, seven days a week, which encourages members to make time to work toward their fitness goals. In short, our business model is built on making a healthy lifestyle realistic and achievable for anyone who wants it! When you make the decision to become a Workout Anytime franchise-partner, you take your first step toward establishing an exciting and rewarding career in fitness! There are many reasons why investing in one of our gym locations is a smart move. One of the best reasons to franchise with us rather than starting your business from scratch is the unparalleled support you’ll receive every step of the way. Our real estate experts will help you find and develop the right location for your new gym. After that, our teams in marketing, sales, and operations will continue to advise and prepare you for your role as a purpose-driven business owner, one who is ready to succeed while making a difference in people’s lives. We’re committed to our franchise-partners because we believe our fitness franchise opportunity can ultimately afford them greater financial and personal freedom. Our gyms are simple to operate once they’re open, and the process of becoming a franchise-partner is straightforward and requires a relatively modest investment. 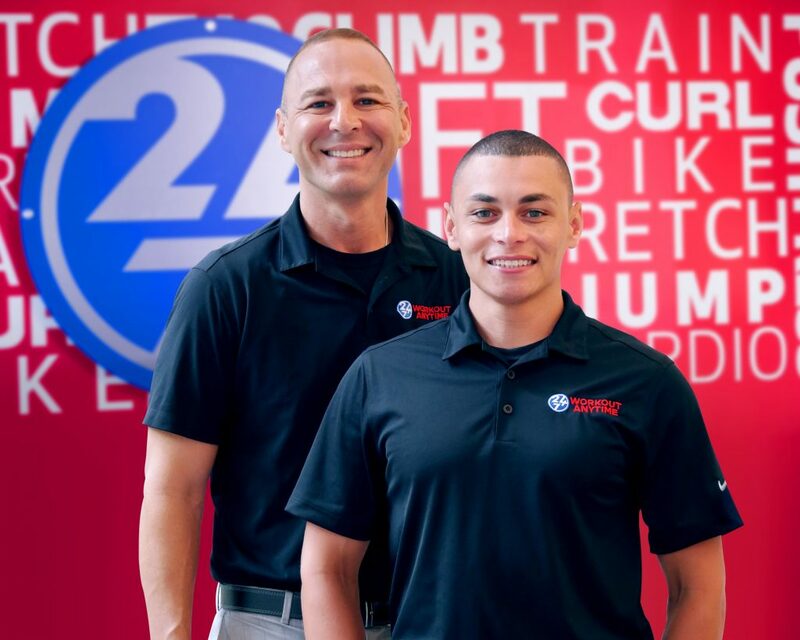 After recognizing what a unique and rewarding opportunity owning a Workout Anytime gym is, many of our franchise-partners take the next step and open a second or third location. And why not? We offer discounts to partners who operate multiple units and we’re anxious to help them expand the brand. Multiple units create more opportunity for success and more chances to become a valuable asset to your community! 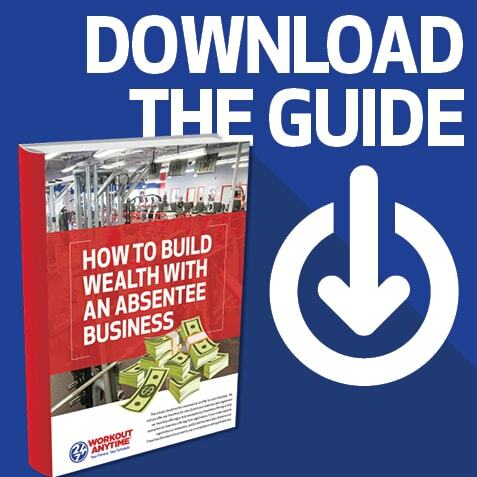 If you’d like to learn more about the industry, and what a unique opportunity a fitness franchise is, contact us today!